Cuba has become a world-class medical powerhouse with very limited resources, while “the US squanders perhaps 10 to 20 times what is needed for a good, affordable medical system.” As a result, the Cuban infant mortality rate is “below that of the US and less than half that of US Blacks,” and Americans can hardly claim to have a health care system. Furious though it may be, the current debate over health care in the US is largely irrelevant to charting a path for poor countries of Africa, Latin America, Asia and the Pacific Islands. That is because the US squanders perhaps 10 to 20 times what is needed for a good, affordable medical system. The waste is far more than 30% overhead by private insurance companies. It includes an enormous amount of over-treatment, making the poor sicker by refusing them treatment, creation of illnesses, exposure to contagion through over-hospitalization, and disease-focused instead of prevention-focused research. The most revolutionary idea of the Cuban system is doctors living in the neighbourhoods they serve. A doctor-nurse team is part of the community and know their patients well because they live at (or near) the consultorio (doctors’ office) where they work. Consultorios are backed up by policlinicos which provide services during off-hours and offer a wide variety of specialists. Policlinicos coordinate community health delivery and link nationally designed health initiatives with their local implementation. This has made Cuba extremely effective in control of everyday health issues. Having doctors ‘ offices in every neighbourhood has brought the Cuban infant mortality rate below that of the US and less than half that of US Blacks. Cuba has a record unmatched in dealing with chronic and infectious diseases with amazingly limited resources. These include (with date eradicated): polio (1962), malaria (1967), neonatal tetanus (1972), diphtheria (1979), congenital rubella syndrome (1989), post-mumps meningitis (1989), measles (1993), rubella (1995), and TB meningitis (1997). The MGI integration of neighbourhood doctors’ offices with area clinics and a national hospital system also means the country responds well to emergencies. It has the ability to evacuate entire cities during a hurricane largely because consultorio staff know everyone in their neighbourhood and who to call for help getting disabled residents out of harms way. At the same time New York City (roughly the same population as Cuba) had 43,000 cases of AIDS, Cuba had 200 AIDS patients. More recent emergencies such as outbreaks of dengue fever are quickly followed by national mobilizations. Perhaps the most amazing aspect of Cuban medicine it that, despite its being a poor country itself, Cuba has sent over 124,000 health care professionals to provide care to 154 countries. In addition to providing preventive medicine Cuba sends response teams following emergencies (such as earthquakes and hurricanes) and has over 20,000 students from other countries studying to be doctors at its Latin American School of Medicine in Havana (ELAM, Escuela Latinoamericana de Medicina). In a recent Monthly Review article, I gave in-depth descriptions of ELAM students participating in Cuban medical efforts in Haiti, Ghana and Peru. What follows are 10 generalizations from Cuba’s extensive experience in developing medical science and sharing its approach with poor countries throughout the world. The concepts form the basis of the New Global Medicine and summarize what many authors have observed in dozens of articles and books. Second, doctors must be part of the communities where they are working. This could mean living in the same neighbourhood as a Peruvian consultorio. It could mean living in a Venezuelan community that is much more violent than a Cuban one. Or it could mean living in emergency tents adjacent to where victims are housed as Cuban medical brigades did after the 2010 earthquake in Haiti. Or staying in a village guesthouse in Ghana. Cuban-trained doctors know their patients by knowing their patients’ communities. This differs sharply from US doctors, who receive zero training on how to assess homes of their patients. Third, the MGI model outlines relationships between people that go beyond a set of facts. Instead of memorizing mountains of information unlikely to be used in community health, which US students must do to pass medical board exams, Cuban students learn what is necessary to relate to people in consultorios, policlinicos, field hospitals and remote villages. Far from being nuisance courses, studies in how people are bio-psycho-social beings are critical for the everyday practice of Cuban medicine. Fifth, it is necessary to adapt medical aid to the political climate of the host country. This means using whatever resources the host government is able and willing to offer and living with restrictions. Those hosting a Cuban medical brigade may be friendly as in Venezuela and Ghana, hostile as is the Brazilian Medical Association, become increasingly hostile as occurred after the 2009 coup in Honduras, or change from hostile to friendly as occurred in Peru with the 2011 election of Ollanta Humala. This is quite different from US medical aide which, like its food aide, is part of an overall effort to dominate the receiving country and push it into adopting a Western model. Seventh, the New Global Medicine can become reality only if medical staff put healing above personal wealth. In Cuba, being a doctor, nurse or support staff and going on a mission to another country is one of the most fulfilling activities a person can do. The program continues to find an increasing number of volunteers despite the low salaries that Cuban health professionals earn. There is definitely a minority of US doctors who focus their practice in low income communities which have the greatest need. But there is no political leadership which makes a concerted effort to get physicians to do anything other than follow the money. Eighth, dedication to the New Global Medicine is now being transferred to the next generation. When students at Cuban schools learn to be doctors, dentists or nurses their instructors tell them of their own participation in health brigades in Angola, Peru, Haiti, Honduras and dozens of other countries. Venezuela has already developed its own approach of MIC (medicina integral comunitaria, comprehensive community medicine) which builds upon but is distinct from Cuban MGI. Many ELAM students who work in Ghana as the Yaa Asantewaa Brigade are from the US. They learn approaches of traditional healers so they can compliment Ghanaian techniques with Cuban medical knowledge. Ninth, the Cuban model is remaking medicine across the globe. Though best-known for its successes in Latin America, Africa and the Caribbean, Cuba has also provided assistance in Asia and the Pacific Islands. Cuba provided relief to the Ukraine after the 1986 Chernobyl meltdown, Sri Lanka following the 2004 tsunami, and Pakistan after its 2005 earthquake. 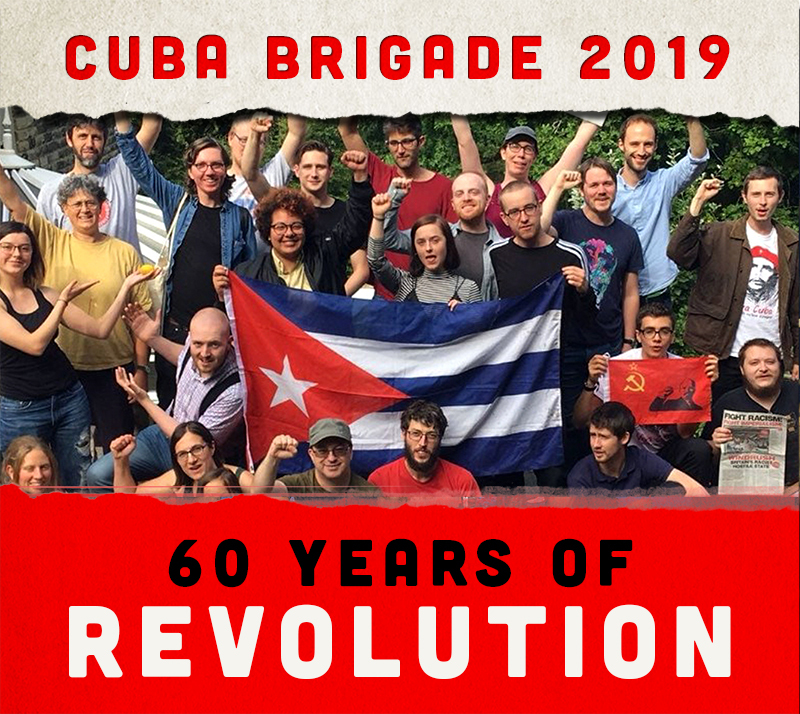 Many of the countries hosting Cuban medical brigades are eager for them to help redesign their own health care systems. Rather than attempting to make expensive Western techniques available to everyone, the Cuban MGI model helps re-conceptualize how healing systems can meet the needs of a country’s poor. Tenth, the new global medicine is a microcosm of how a few thousand revolutionaries can change the world. They do not need vast riches, expensive technology, or a massive increase in personal possessions to improve the quality of people’s lives. If dedicated to helping people while learning from those they help, they can prefigure a new world by carefully utilizing the resources in front of them. Such revolutionary activity helps show a world facing acute climate change that it can resolve many basic human needs without pouring more CO2 into the atmosphere. Discussions of global health in the West typically bemoan the indisputable fact that poor countries still suffer from chronic and infectious diseases that rich countries have controlled for decades. International health organizations wring their hands over the high infant mortality rates and lack of resources to cope with natural disasters in much of the world. But they ignore the one health system that actually functions in a poor country, providing health care to all of its citizens as well as millions of others around the world. The conspiracy of silence surrounding the resounding success of Cuba’s health system proves the absolute unconcern by those who piously claim to be the most concerned. *Don Fitz is editor of Synthesis/Regeneration: A Magazine of Green Social Thought. He is Co-Coordinator of the Green Party of St. Louis and produces Green Time in conjunction with KNLC-TV 24.